Progress Lighting Wisten Collection Close to ceiling light uses (3) 18-Watt GU-24 compact fluorescent lamps for energy efficiency, superior color rendering and long life. It has steel construction with brushed nickel finish for maximum corrosion resistance. This three-light bath fixture features sweeping arcs framing elegant and tapered glass shades for cool and modern design. Its universal style is perfect for use with fans that accept an accessory light. It is suitable for sitting room lighting and/or hall & foyer lighting. 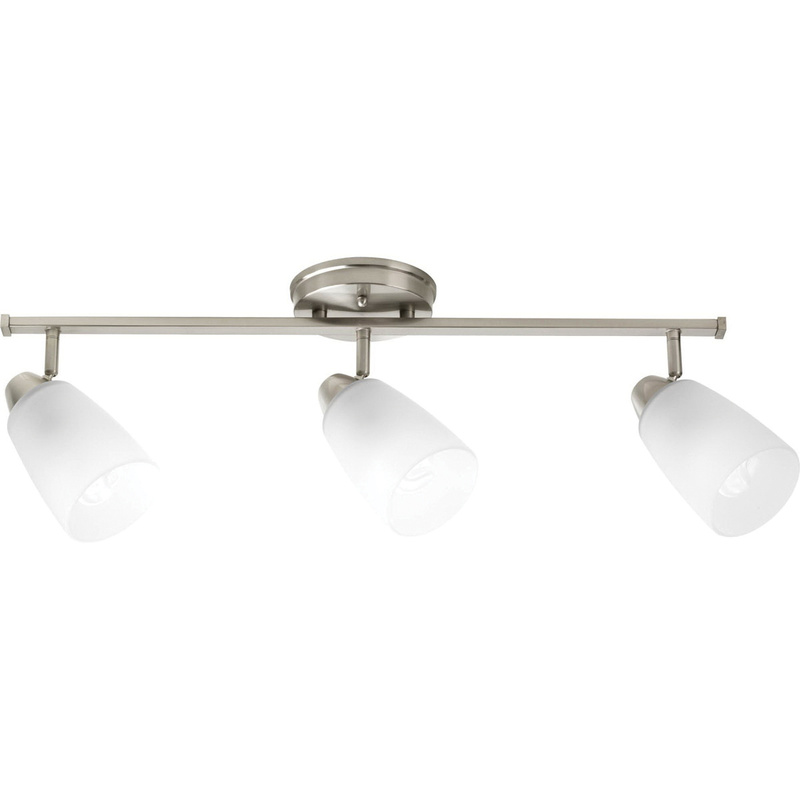 Close to ceiling light meets California Title 24 and cCSAus standards.